So you’ve just found out you’re pregnant! Congratulations! 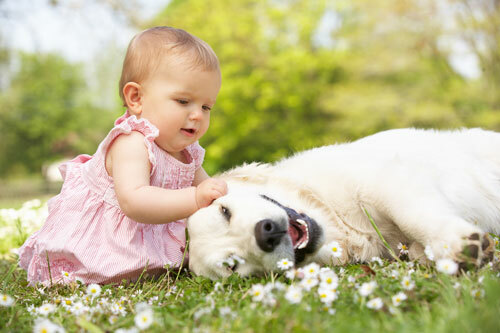 As well as being excited, some expectant parents feel very anxious about what this will mean for their dog – who up until this point, has been their baby. Expectant parents have 9 months to prepare for the baby’s arrival. Often dogs will anticipate that there is some sort of change ahead, but aren’t fully prepared until the baby arrives. This often leads to inappropriate behaviours, fear, aggression and can result in dogs being banished to the back yard, rehomed or euthanized. So is it possible to prepare the dog for the baby’s arrival? Can the dog and the new baby live harmoniously under the one roof without too much drama or incident? The key is to begin preparing your dog as soon as possible for the baby’s arrival. This includes getting your dog used the baby’s things, the baby’s sounds and preparing your dog ahead of time for changes in routine. The Baby Preparation Program run by The Canine Perspective is the only one of its kind on the North Coast. It consists of 3 x 1 hour sessions and shows you how to systematically go about getting your dog ready for the new baby. 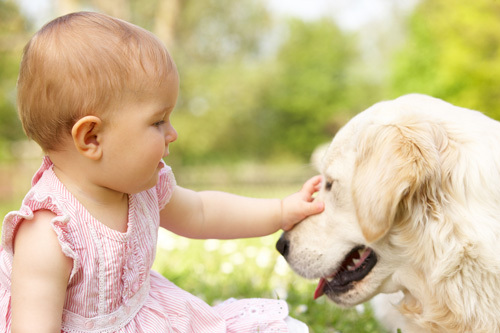 We show you how to identify what routines and behaviours may need changing, how to identify warning signs and inappropriate behaviours, and the all important – how to introduce your dog to your new baby for the first time. The cost of this program is $135 (including GST) per session (plus travel costs). or phone Sarah on 0405 535 336 or and we can arrange a time that is convenient for you.